Georgia Dachshund Rescue View other Dachshunds for adoption. 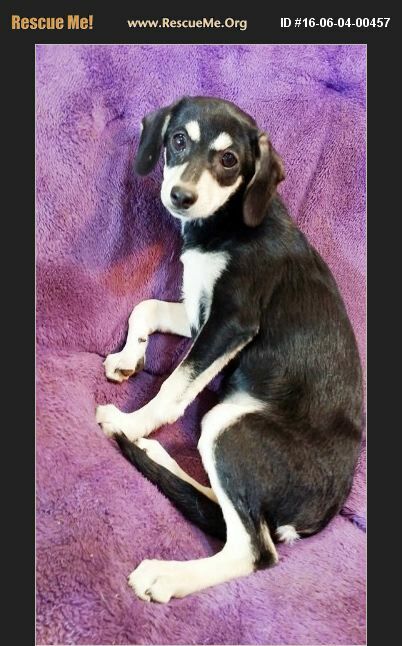 Tessa is a 10 months old Rat terrier/ small hound mix puppy, weighs 12 lbs. She and 20 others were seized at a hoarding place. We are looking for an experienced dog person who is patient enough to let her settle in. We are also strictly looking for a home where she has another dog friend as she is very depending on a dog to find her comfort zone. Low traffic home with no small children because she would get scared and hide. She is not that type of dog you can take on a leash and walk around the block. Patience and lots of TLC is needed since she has almost feral behavior. Her adoption fee is $ 250 which includes all his vaccines, deworming, heartworm test, spay and micro chip. DO NOT SUBMIT AN APPLICATION ONLINE!!!! Please send us an e mail to receive an application. We are operating on appointments with pre approved adopters only! We do not have a shelter available to the public.